So says Araceli Salcedo Jímenez, mother of Fernanda Rubi, a young Mexican woman kidnapped in 2012. Araceli’s voice was recorded as part of Anyone’s Child: Mexico, a brand new project telling the real-life stories of families and communities whose lives have been wrecked by the international drug war, and their fight for safer drug laws. Anyone’s Child: families for safer drug control was formed 2 years ago, as families in the UK united to tell their stories, including Anne-Marie Cockburn whose 15 year-old daughter, Martha, died of an accidental ecstasy overdose in 2013. Anyone’s Child aims to expose the human cost the drug war and show that moving away from prohibition and criminalisation will better protect families and young people. The Anyone’s Child campaign was initially built around domestic concerns but has since expanded internationally. We are building support in Belgium, Canada, Kenya and now Mexico, thus illustrating the collateral damage caused by failed drug policies at every stage of the drug trade across the world. 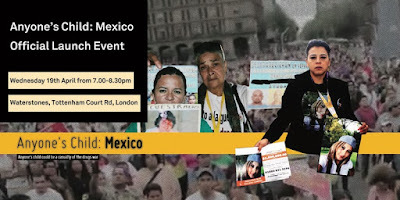 The official public UK launch of Anyone’s Child: Mexico will be on 19 April 2017 in London, as part of the global effort to change public opinion about the urgent need for reform, to bring drugs under government control. Nowhere is the human tragedy of prohibition more evident than in Mexico, the front-line of the global drug war. 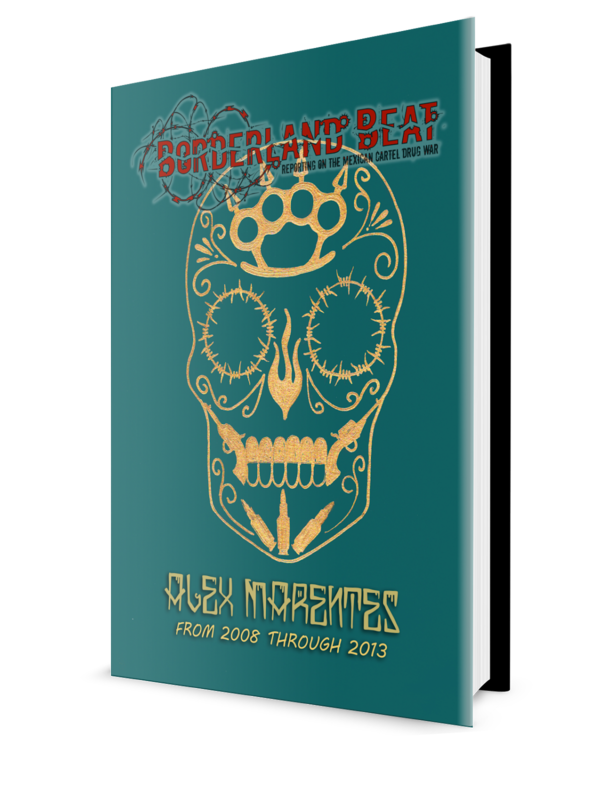 Officially, over 150,000 people have been murdered and thousands more have disappeared since the Mexican state intensified its drug war in 2006. Every one of these casualties was someone’s child, sister, brother or friend. Their families are now fighting for a solution and their stories can be heard through this innovative campaign which connects a free phone line in Mexico with an online interactive documentary that can be accessed from all over the world. This project comes at a time when Mexico’s Congress is debating a law which will further expand and normalise the military’s presence in public security despite evidence that more than a decade of military deployment in the country has failed to effectively reduce violence and organised criminal activity. This problem is not going away. It is expected that the Law on Internal Security will be discussed during the first session of Congress, which ends in April. As the law is debated, it is important to consider the human rights implications for legally entrenching the military’s role in public security. 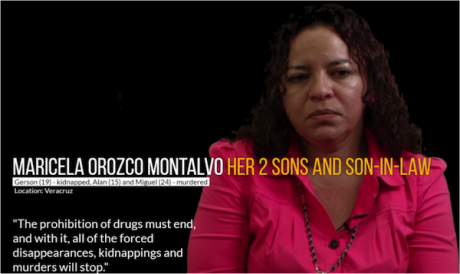 The stories expose the overwhelming harm that fighting the drug war is inflicting upon Mexican communities every day. Under prohibition, the illegal and unregulated drug market is controlled by violent criminal organisations rather than the government. The only way for disputes between rival gangs to be resolved is using force and violence, and ordinary families are caught in the crossfire. In March 2014, Maricela’s 19-year-old son, Gerson Quevedo Orozco, who was studying architecture at university, was kidnapped while in a convenience store with a couple of friends in Veracruz. Maricela’s family paid a ransom but Gerson was not returned. Her other son, Alan, and her daughter’s boyfriend, Miguel, immediately went to find him. A van followed them. The people it was carrying got out and shot them dead. Maricela’s family were from that moment displaced from their home in Veracruz out of fear for their lives. Maricela Orozco Montalvo’s testimony highlights the extent of violence and corruption in Mexico, and the strength and determination of families to lead searches for the missing in the absence of government responses. Anyone’s Child: Mexico is a living documentary which will grow and evolve over time. Through a specially established phone line in Mexico connected to the website, the number of voices is expected to increase as more participants get involved. These families are desperate for their stories to be heard outside of Mexico, where they feel they are not being listened to. The aim of the project is to develop an archive of stories from people whose lives have been negatively impacted by the drug war and to use innovations in digital storytelling to bring these unheard, often marginalised voices into reach of unexpected audiences. And then to achieve policy change. 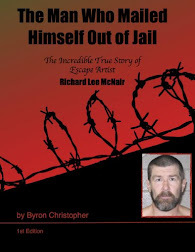 The audience has two options: they can explore the real-life stories of these key contributors by scrolling through curated chapters which allow for more detailed explorations of their stories. Or, they can listen to the growing collection of unedited material in the phoneline archive and hear their stories and truths directly – to maintain the unique authenticity and power of individual storytelling. As well as contributing to the exercise of collective memory that will result from the archive of testimonies, participants are also able to listen to other peoples’ testimonies through the phone line, creating an infrastructure of support and solidarity across communities in Mexico. 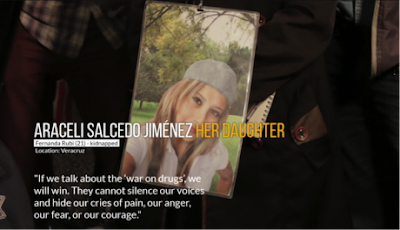 Anyone’s Child: Mexico is calling for the legal regulation of the drug market. We want governments, not criminal gangs to control the drugs trade. We want to promote health, reduce violence and protect families and vulnerable people. Our vision is that control of all drugs would be the responsibility of doctors, pharmacists and licensed retailers. Prohibition is a global policy, held in place at the UN, which is supposed to protect us. But clearly, fighting the drug war does not keep anyone safe. Prohibition in Mexico has largely focused on preventing illegal drugs from crossing its borders en route to Europe and North America. If drugs were regulated in the UK – and so sourced legally – there would be enormous benefits for Mexico. That’s why it’s our responsibility to listen to these stories and to put pressure on our own political leaders to make the necessary change to end the drug war. After years of being ignored it is time for the victims of this war to be at the heart of the drug policy debate, and to lead the campaign for legal regulation. These voices offer testimony to the ideal of a new society for younger generations to have a better future. And they cannot be ignored. Please join us for the official launch event of Anyone’s Child: Mexico on Wednesday 19 April 19 2017 in London. **Mary Ryder is Anyone's Child coordinator at Transform Drug Policy Foundation. She tweets at @maryder93. Beautifully put , awareness and informative of a failed drug war policy. The impact of these individuals and families worldwide is definitely a great project. Finding solutions is a goal of all nations. A humanitarian crisis which has cost billions of dollars in prevention and the deaths and disappearances of so many..
Let's just hope that such a documentary will be effective. Moreover governments take responsibility and protect citizens. sure, want fries with that? Now this is a type of initiative that is potentially just as dangerous to the lucrative drug trade as the auto-defensas. My guess is these kind of organizations will be targeted by cops, cartels, military and government propaganda to prevent the increasingly upset general public from getting organized. On the contrary. I'm sure necessary security issues were taken into consideration. Nevertheless if not the case here, the most impactful truth the world can ever see. The tragedies of loved ones of a humanitarian crisis which many are blind of. If epn gets these pinchis viejas arrested and raped in prison, who will be blamed? Every remedy to mankind has been used on Mexico, from the popes visit, to the little girl making her speech, to telling EPN off etc....Mexico is hopeless..all we can do is hear the voices but to NO avail. among other things to stifle dissent by any means necessary. the war on drugs will be difficult, why!! if we go back in time to the Nicaragua conflict, we see that parts of the US govt were helping the transport of drugs to pay for weapons for the contras. At the same time other agencies were investigating the money connection and told to stop!! this in turn led to a chaotic investigation, which lent itself to bribery and indifference. Lesons learnt by the cartels at that time about defense and logistics have been refined to a high degree the same with security and communications. If anybody wants to win they will have to treat this like a terrorist organization and use the appropriate methods of dealing with such a menace. strikes along with special ops is not something any group would want to engage with. However we have to be realistic here no such government would condone nor approve any such military action within their country. Moreover a foreign government where unfavorable opinions will be at the forefront. The notion is bold and maybe more effective. Unfortunately innocent lives are imminent if such were applied. Also the possibility of arising another unwanted terrorist group . Last thing anyone wants is headache in the end. and when their time is up, very funny, heheheee.